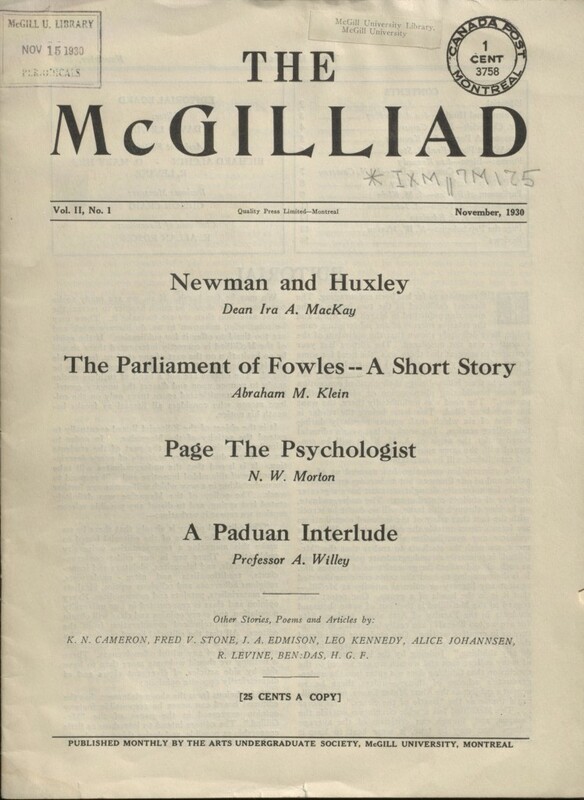 … feel the need for some forum where they (the students) can exchange their intellectual and emotional experiences, where they can present to their fellow-beings their clarified conception of some bewildering phenomenon or some haunting passion. 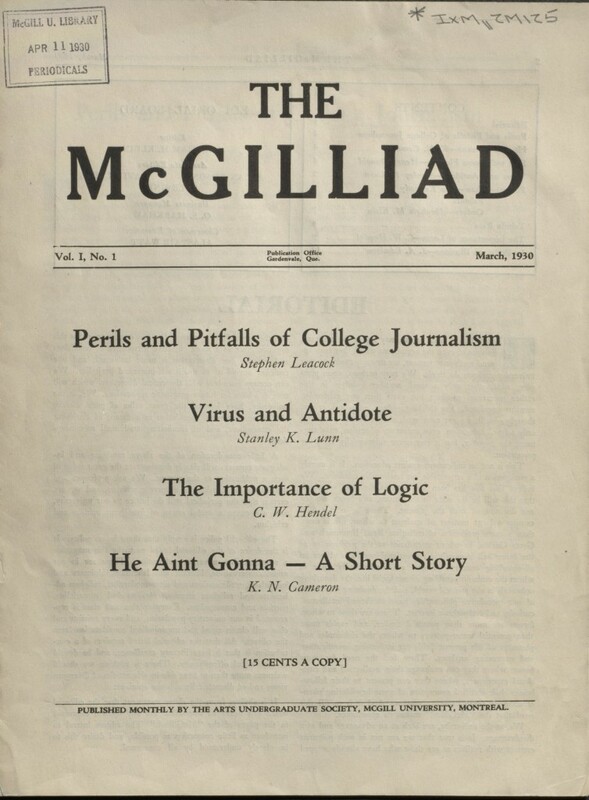 And it is to fill this need that the “McGilliad” makes its appearance. 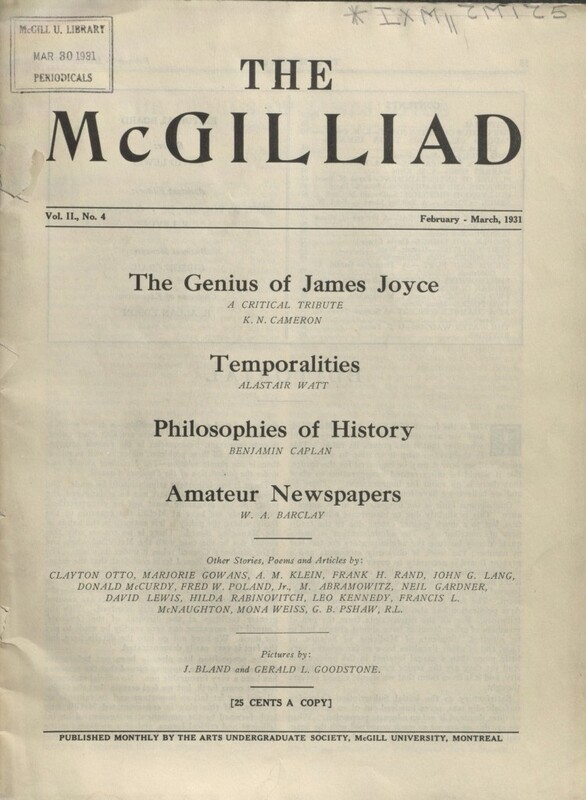 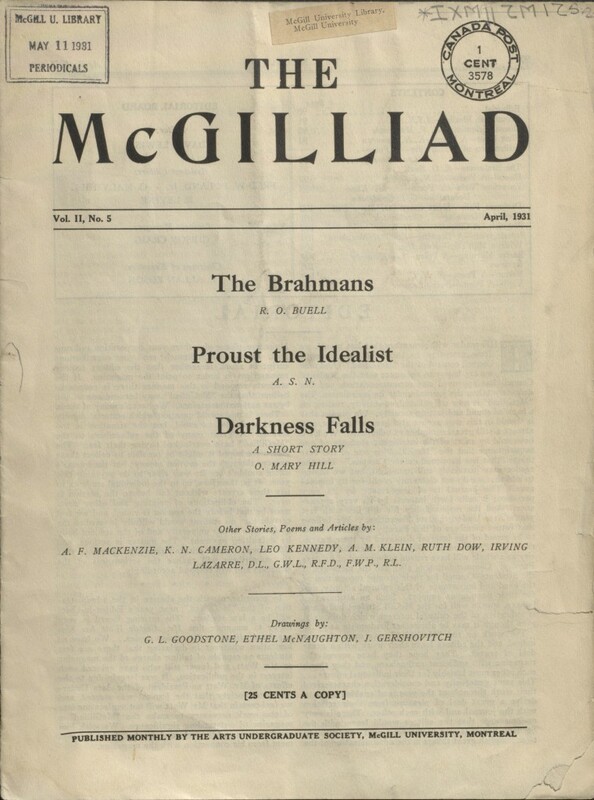 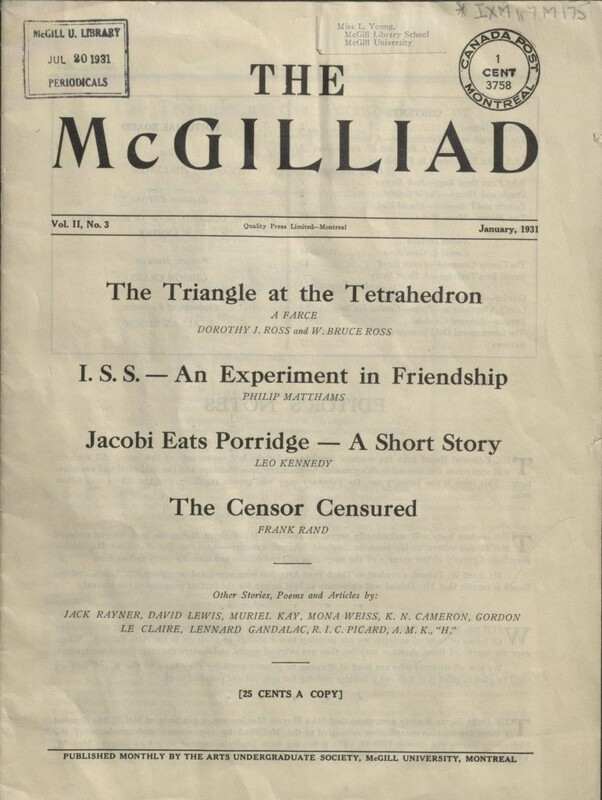 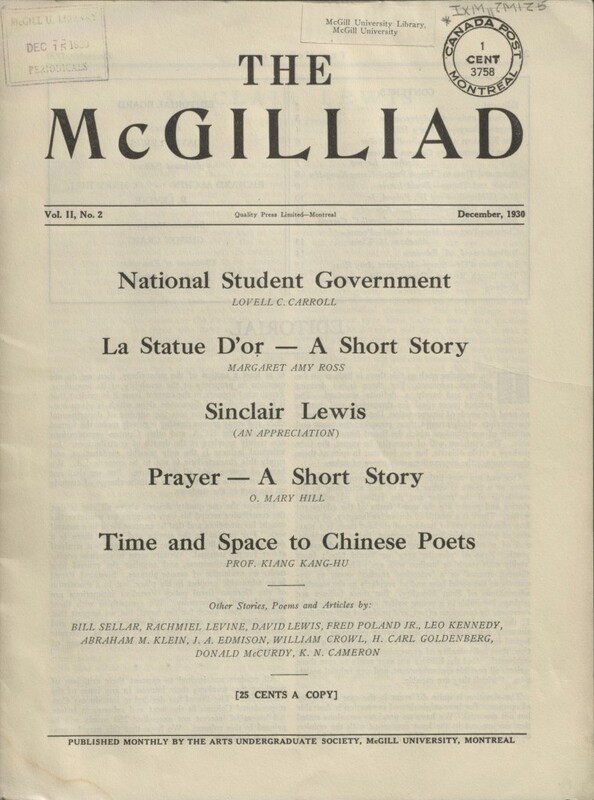 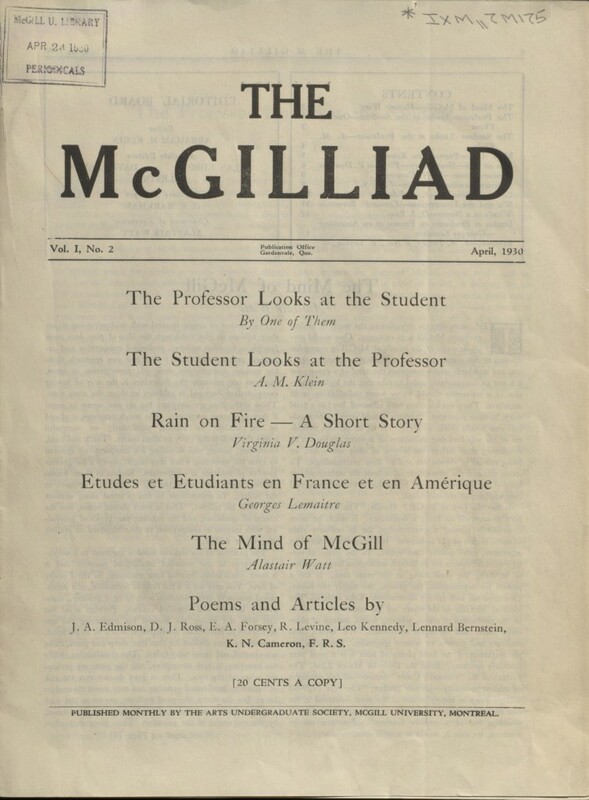 The first year they published two issues in March and April of 1930 under the editorial direction of A. M. Klein. 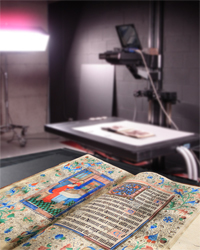 You can read and download all seven issues from our catalogue or you can see the originals by visiting the Rare Book and Special Collections reading room during opening hours.